21st Century people have it easy. We buy any kind of soap we might want. It’s readily available, inexpensive (for the most part), and comes in a unlimited scents, from countless manufacturers, in liquid preparations or body-washes or bar form or powders. Better yet, it’s designed for laundry or shampoo or housecleaning or bathing. It smells good. It’s effective. Many varieties are gentle on the environment. What did people on frontier homesteads do for soap? They made it from animal fat, wood ashes, and water. The fat had to be boiled (refined) and the wood ashes leached for a weak lye solution (to also boil into condensed state). Sounds like a whole lot of messy work. 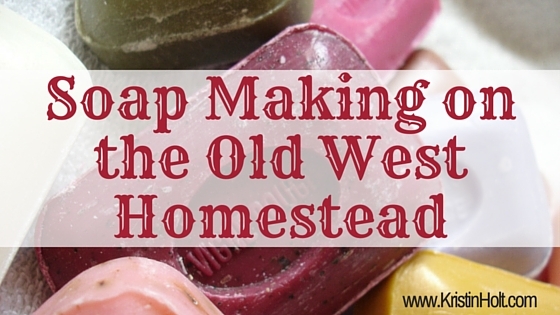 It was so messy, so smelly, homesteaders would spend one whole day on this chore just once or twice a year, making enough soap to last the family as long as possible. Take fat scraps and lye and boil together. Lye made by pouring water over ashes and letting it drip into a container. Note that these old-time recipes don’t explain much about how to come by the necessary lye, or how to render the animal fat. Both preparatory processes were time-consuming, hard work, and relied upon judicious housekeeping. Homesteaders would hang onto every bit of fat trimmed from meat and all ashes cleaned from campfires, stoves, and hearths. 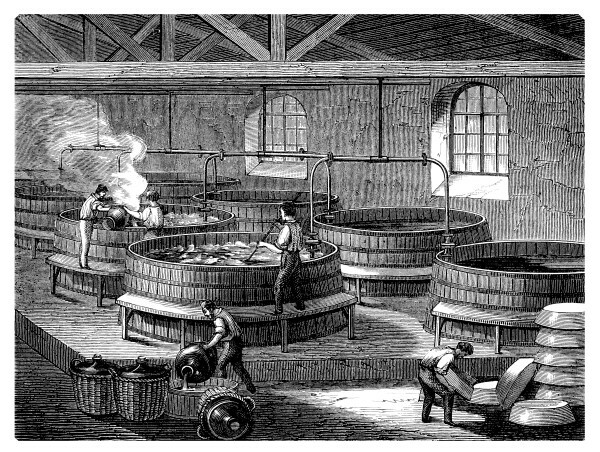 Wood ashes from fires would be saved in a hopper (a contraption built to allow water filtration through stored ashes). The water leached lye from the ashes, but it was still too weak for use. The solution would be boiled, usually on an outdoor fire, slow and long until the solution strengthened enough for use in soap making. Grease leftover from cooking, along with uncooked animal fats from the butchering process would be saved (yuck!) until the once or twice-a-year soap-making event. This smelly job took all day (or longer) and was conducted outdoors as to not be trapped inside with the most unpleasant odors. Fats were combined with an equal quantity of water and boiled slow and long. Eventually the water and impurities would fall to the bottom, and the rendered fat (desirable end-product) would rise to the top. The pot would be removed from the fire, allowed to cool, and the separated rendered fat to harden. Soap-making companies have been around (in the United states) since the very early 1800’s. The commercial soap company Peet Brothers Co., Kansas City, KS, was in business as early as 1872. Urban legend suggests Ivory Soap’s debut was little more than absentmindedness when a soap maker left his station at Proctor and Gamble for his lunch break in 1879 without turning off the machine. Extra air was whipped into the white soap, creating a “mistake” people kept asking for. This myth was debunked when archivists discovered chemist James N. Gamble’s notes regarding the process of creating this better soap formula. The company used the slogan “the soap that floats” in the early 1890’s. An 1898 marketing poster illustrates a miner, far away from the comforts of city life, washing in a pond, with the most affordable, most versatile, most pure soap floating at his side. The presence of commercial soap didn’t necessarily reach the frontier, making it necessary for homesteaders to continue making their own throughout the Old West Era. Eventually, soap became readily available at General Stores, but many considered it downright unnecessary to spend hard-earned money on something they could create with their own two hands. I think I would’ve been one of the first women to eagerly barter for ready-made soap at the General Store. What about you? Would you find soap-making a fulfilling, rewarding task? … or not? Ancient Babylonians made and used soap. 7th Century Arab chemists made the first plant-oil soaps, perfuming and coloring their liquid and solid products. Soap fell out of favor with the fall of the Roman Empire in the late 4th century. The Roman Catholic Church saw bathing (and soap use) as hedonistic. In the 8th century, soap making was well-known in Italy and Spain. Many claim making soap became ubiquitous, mid-19th century, because of two wars: the Crimean War (1854-1857) and the American Civil War (1861-1865). Florence Nightingale brought hygiene into British field hospitals in late 1854 and British deaths due to disease decreased. This lesson was not lost on Americans who instituted hygienic reforms among soldiers. Having become accustomed to regular soap use, soldiers returning from battle brought their new, clean habits home. Lye Soap is actually not caustic to skin, clothing, wood or anything else. A chemical reaction bonds lye with fat, and creates an entirely different compound–soap. Please share this post with anyone interested in history. Soap Making on the Old West Homestead Lady Victoria(n)’s Secret Mail-Order Catalogs: Timeline & Truth Mail-Order Catalogs in the Old West P.S. 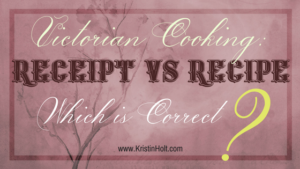 : Old Laundry Implements…On Vacation 19th Century Washing Machines Warsh: Grandma’s Receet (Washing/Laundry, Granny’s Recipe) Spring Cleaning, Victorian Style…the wallpaper? Thanks for an interesting blog. You write, “The bones were boiled down when the moon was full, of course.” Can you elaborate on this? Why of course? I was always fascinated with my grandmother’s grease can, so I inherited it along with the matching salt and pepper shakers. Although she always had it under the cupboard near the stove, and poured into it any excess bacon grease, I can imagine her mother or grandmother had such a can for making soap! So now, thanks to your post, I feel even more enchanted with the little can–though I’m sure I would have grumbled loudly on soap-making day.